The custom and boutique putter market is an incredibly unique portion of the golf equipment spectrum. To some it is overkill, to some it is art, but you never know what surprises and new entries are out there. Kronos Golf is one of those surprises. Kronos was founded by Phillip Lapuz and Eric Williams along with some friends on the basis of creating straight forward putters which perform without “gimmicks, shortcuts, and lies” as they put it. Essentially, their hat is hung on the principle that quality and precision trumps all and every one of their putters is milled from a solid billet and completely manufactured in San Diego, California. 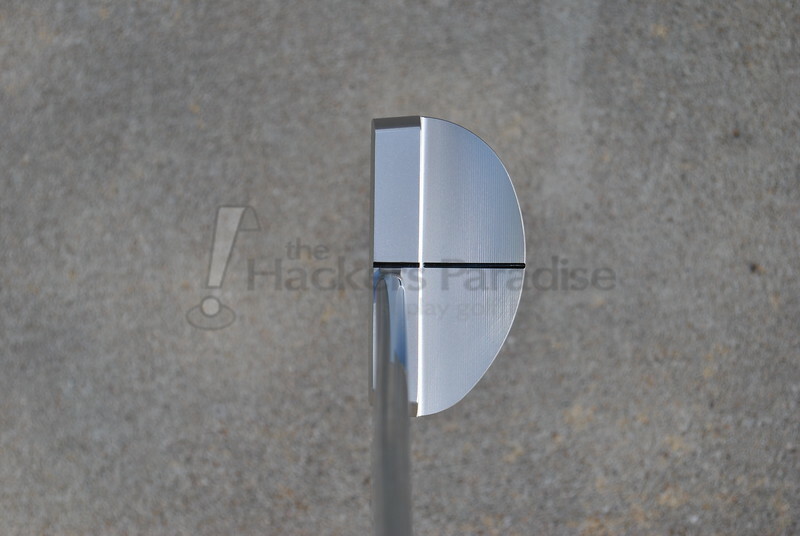 THP was able to get the “Mandala” model in 303 Raw American Stainless Steel at 36” (reviewers fit) for testing. The golf industry has been blinded with lies, disgraceful manufacturing, and false idols. 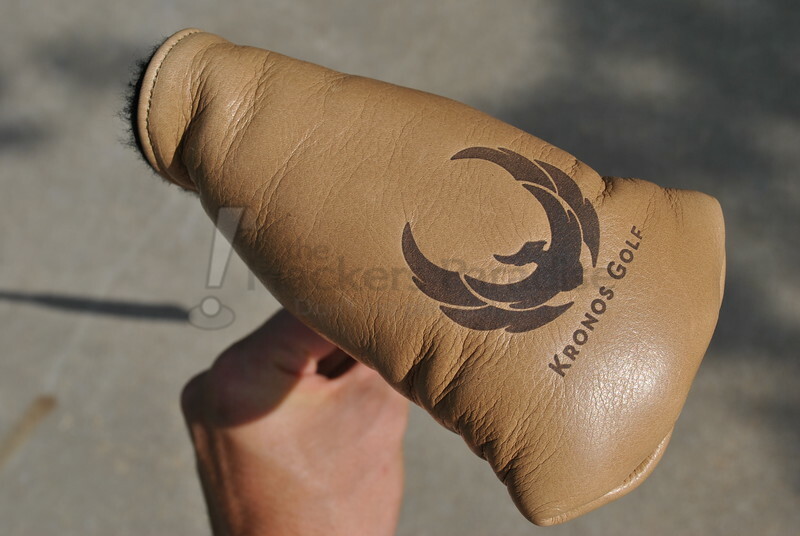 KRONOS was founded as a rebirth of golf. KRONOS will never promise that our clubs will make you a better golfer. Only you can make yourself a better golfer. Only you can improve through practice. 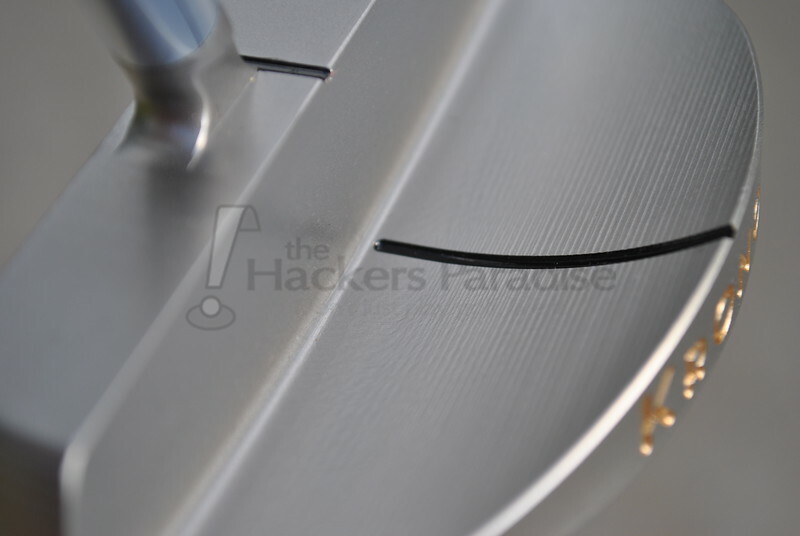 We promise to build our products with integrity and elevated precision. It’s a promise to craft something you can trust. All KRONOS putters — past, present, and future — are made in San Diego, California by local San Diegans. KRONOS golf does not support the brainwashing of golfers by creating false idols. KRONOS products are sold globally only through like-minded retailers & kronosgolf.com. 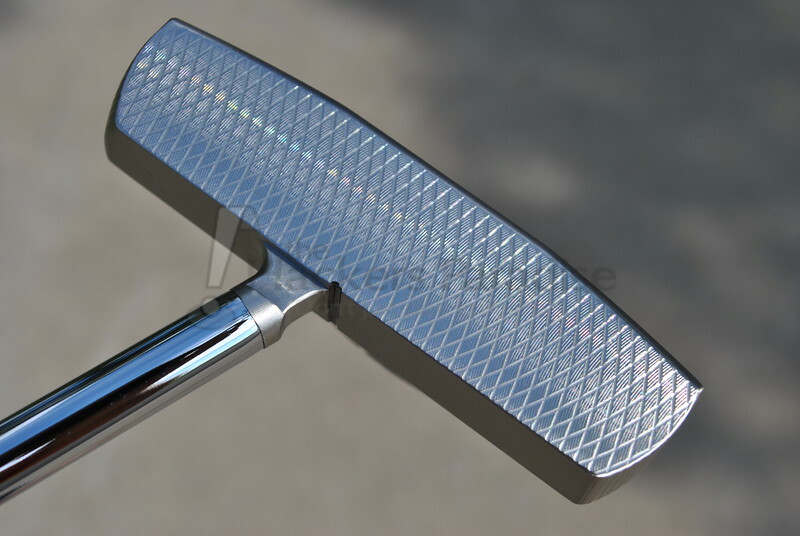 The Mandala presents an innovation in classic putter design. The view from address maintains a classic D-shaped silhouette. Almost every other view reveals the unique Swan Tail™ flange. This sweeping reverse taper moves mass deeper in the club, encouraging continued acceleration through the putt. The undercut notch on the leading edge of the neck allows for a better view of the ball on this true center-shafted putter. Made in The United States of America. From a looks perspective, the Mandala definitely merits use of the term ‘unique’. It is a mid-mallet, face-balanced, center-shafted design that will garner some attention because of the aesthetic tendencies that it possesses. The 303 SS version which THP spent time with has a nice satin finish that was adequate at preventing any awkward glare even in the noon sun. It is important to note that satin will always be a brighter than a black finish, but some satin finishes are better than others at refracting the glare and the Mandala does a very good job there. The headshape is a non-symmetrical half circle which serves to achieve the balance that Kronos was looking for while providing an overall look that is not too abstract when placed at address. Although the shape itself is fairly common, the rest of the design is not, starting with what Kronos refers to as a “Swan Tail” flange. The flange curves upwards towards the rear of the head and gets thicker there (reverse taper, if you will), and is a unique look that this reviewer has not seen on another mid mallet design. The thing to note is that it draws focus when examining the putter, but when placed at address it is unnoticeable and keeps a clean overall look with no distractions. The Mandala also features a unique milling they refer to as being “Compass Scored” and a tri-plane sole which add a really nice look to the overall package. Another aesthetic area worth talking about is the engraving and paintfill of the Mandala. 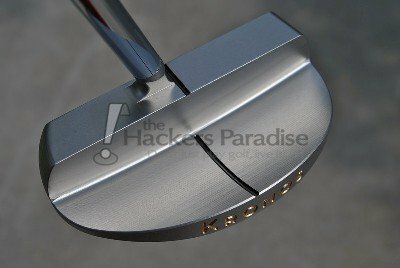 Kronos has done a very good job of keeping it clean and simple in order to try and let the quality of the putter speak for itself. No excess engraving here, instead a simple etching on the sole of their phoenix logo as well as the headshape name and overall weight with the only other branding being the KRONOS name engraved on the rear of the Swan Tail flange. Each Kronos putter is standard with an Iomic putter grip in a deep “coffee” color that looks incredibly unique outside and feels great in hand. 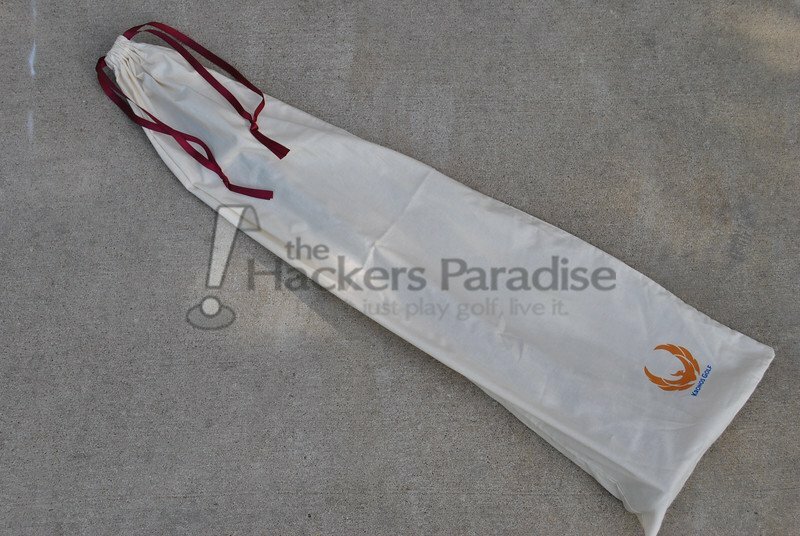 The Mandala sent to THP also arrived in a branded cloth bag unlike anything you will see elsewhere and a leather headcover which was branded with their logo by hand. In all, the aesthetics surrounding the headshape are just as impressive as the head itself. The Mandala is made of 303 American Stainless Steel which traditionally gives off a higher pitched sound at impact most golfers will refer to as being a “firm”. However, the Kronos has managed to do something here that few other SS putters can in this reviewers experience, and that is feel much softer than the material traditionally does. Thanks to the Swan Tail moving material low and back away from the face as well as the Compass Scored milling, the amount of face surface that comes into contact with the ball is reduced and the vibrations are absorbed/dampened more. This all leads to a deeper audible sound at impact and a much less “clicky” sensation. It is something that is more difficult to achieve than one would think as it all comes back to design and Kronos has done it very well. 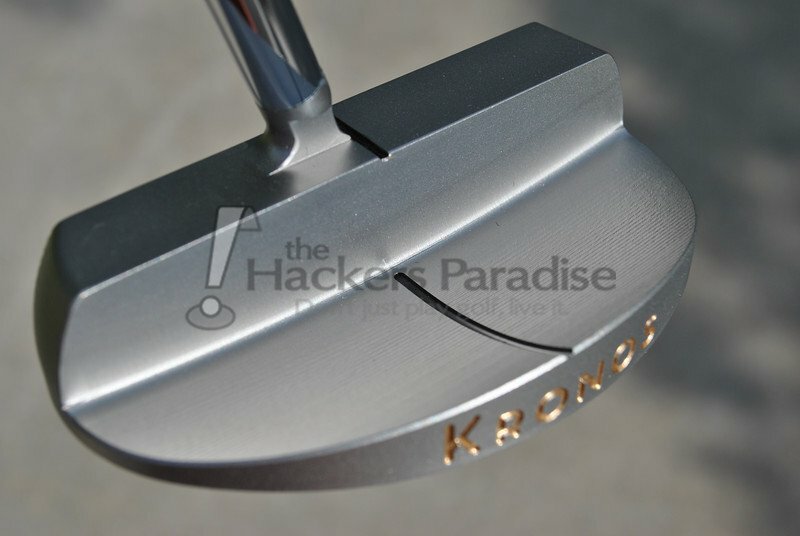 One of the unique things about Kronos as a company is that they do not claim to be able to instantaneously make you a better putter with their products. Rather, they understand practice is the key. However, they do aim to produce a putter that offers as much help as it can in terms of alignment, roll, balance, and confidence. The alignment of the Mandala is very effective. Though it is just a simple single line on the topline and flange of the putter, a lot goes into and comes from achieving this. 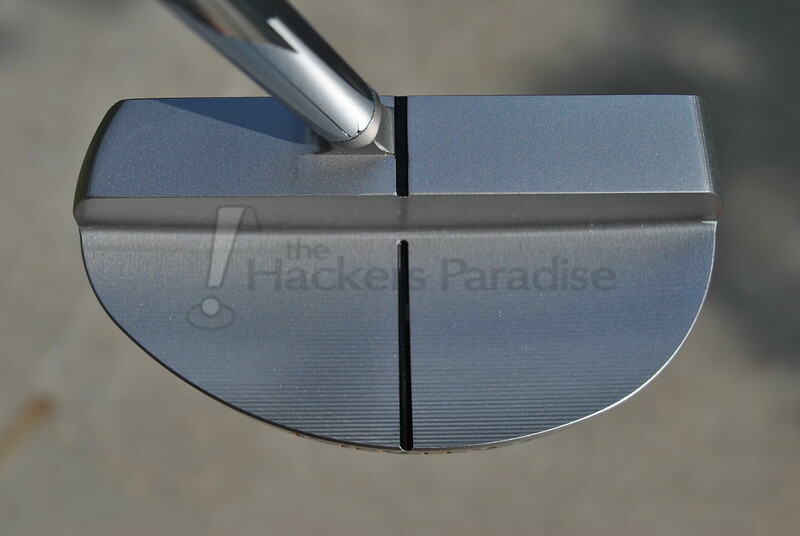 The putter utilizes a neck often referred to as a “spud” meaning that it does not attach directly to the topline. This is not a totally unique feature in itself, but Kronos has removed material on both sides of the neck in order to create an unobstructed view of the topline and siteline that is directly in line with the sweetspot of the putter. When you combine this with a flange line and the tri-plane sole you have an undeniably solid alignment and setup aid. Testing showed that because the two sightlines run congruent to each other at proper setup, when the hands are too low/high then the lines don’t match up giving a clear indication that setup is off. A little thing, but impressive and useful one as most golfers have a tendency to not properly sole the putter (think toe up or toe down). As far as the roll and distance control are concerned, each showed to be exactly what one would expect from a premium milled putter. Skidding was not an issue and the ball took and immediate forward roll (keep in mind, this can vary person to person based on stroke and tendencies like pressing etc.). The ball rolled true to the line selected and the break on the greens with no surprises there. Off center putts were met with audible changes that indicated where the miss took place, but the putter has an impressive resistance to twisting at impact thanks largely to the Swan Tail flange increasing the overall MOI. The Mandala also responded well to strokes of all lengths where distance control is concerned without fear “hot spots” or any other such things. Kronos actually takes the time to ensure the CG of the putter is directly in line with the sitelines in order to ensure a more consistent performance for the user. It’s unique for a putter company to come to the table with such confidence in what they believe in and intend to bring to consumers. With the Mandala, Kronos Golf has offered a design that is unique aesthetically from the looks we tend to see again and again, but they have done it in a way that isn’t obstructed by unnecessary branding and features. It is obvious that the design may not appeal to everyone. After all, not everyone goes for different. 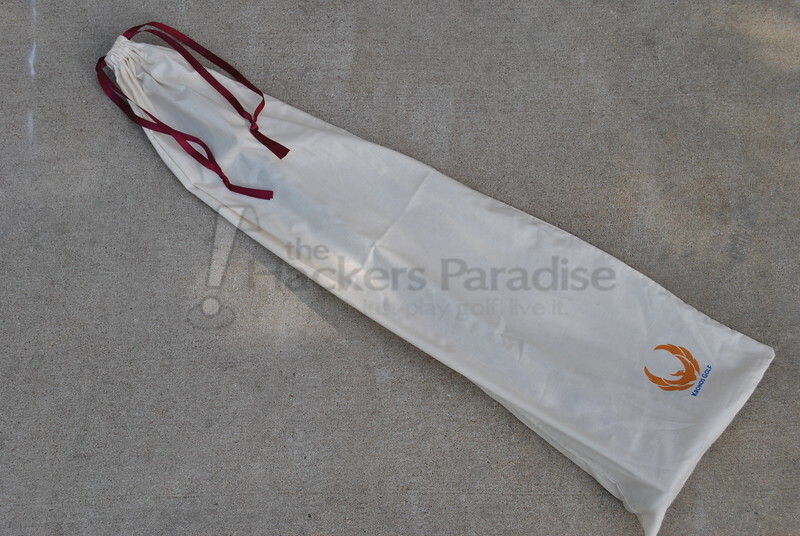 Additionally, the Mandala comes with a price point in the upper echelon of boutique putters which will not be for everyone. 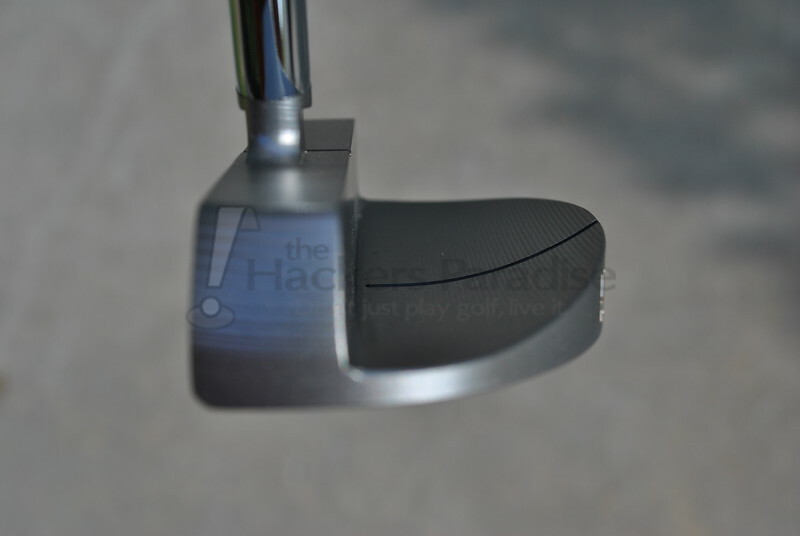 In the end though, the putter is incredibly solid and does its job very well. If one can find one to try, it is definitely worth a roll. 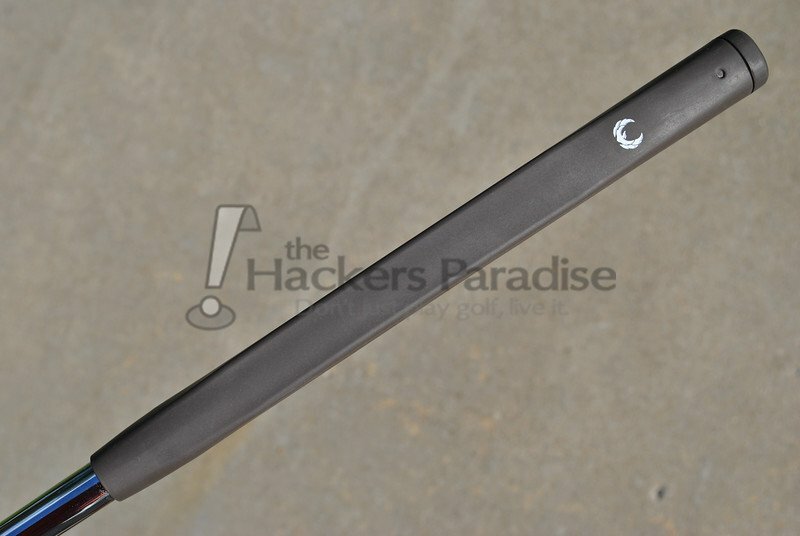 More information on the Mandala and the rest of Kronos Golf’s putter offerings can be found on their website at www.KronosGolf.com. I really like the sight line that’s directly in front of the hosel. Too often, the CS offerings rely on the flange sight line and being a golfer that uses the sight line in sync with the line on the ball, this is critical for me. The face milling looks great also. Really digging the simplicity of this putter, nothing too flashy or distracting. The price is a bit more than I would like for an unknown but it sounds like the quality is there. Loved the review James. Such an awesome looking pretty. The sight lines look to be very well thought out. And I like the increase of the MOI from the Swan tail. Solid design on the Mandala from the shape to the finish. Always floored by the huge price tags on boutique putters. How much is a billet of steel? Lack of skidding was mentioned. What did they do to achieve this and how was it measured during testing. I love putters that get the ball rolling off the face. Great review James. In following along the thread while you were testing it out, you sang some pretty high praises of this putter. I am thoroughly impressed. I dont know that the Mandala shape would work great for my but there is no denying how well it sets up to the ball. Fantastic thoughts James. I think the most intriguing for me is the multi tier alignment lines. Thinking about best ways to confirm proper setup, I’d love to see first hand how much that would benefit. Nice review, James. I really like the alignment aid in this putter. Are these putters going to be available anywhere or are they strictly order based? Excellent review James. I really appreciate the thought that went into designing this putter. The notched spud neck, the swan tail, and the way the sight lines allow you to confirm proper address all show a definite attention to detail. Well done, Kronos. Looks like a quality line of putters … but the design. 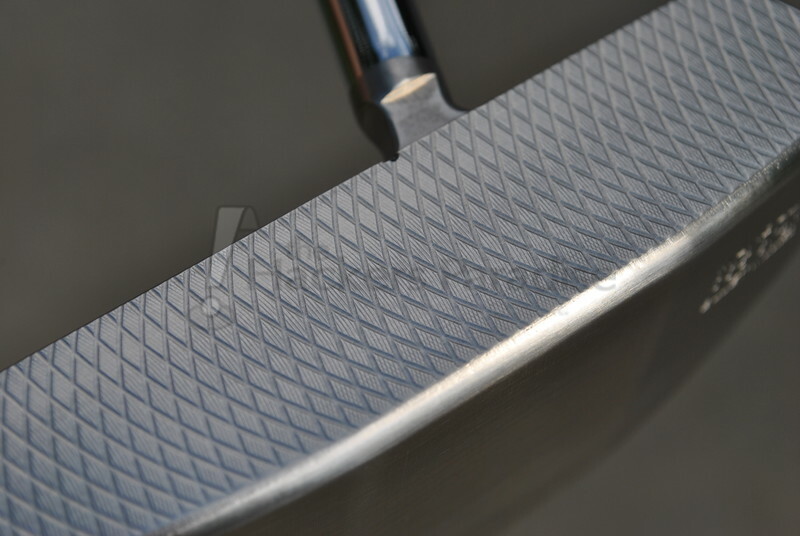 I think you reviewed the best looking putter in the line and that is not saying much. The Anser Type Model is too blocky, too much offset for many and no options for no offset. The Rossy style is nice but too busy for me; the Soul Blade is too weird if you’re trying to sell a $450 putter, and the mallet could use some cavity weighting. Good luck to them, but I don’t see it happening. I should add, let’s face it, you can purchase a custom, fit-for-you Edel with a pixl face for less money than the Kronos line. Kronos was on the season premiere of Shark Tank. They got a deal. Mainly sell to the Japanese market right now. With the advent of the new “break reducing” putters, all old putters are now obsolete! Why would you guess how a breaking putt will break when a PROBE 20/10 N putter will straighten out the putt, so it is straight? No more guessing!